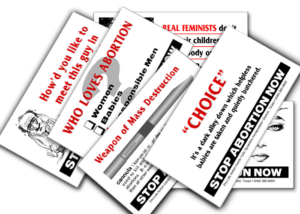 On a daily basis, in abortion clinics across America, criminal activity takes place. 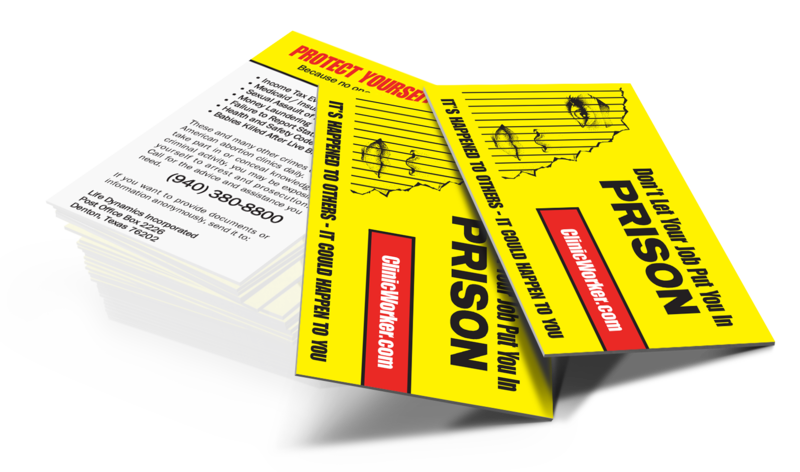 These effective cards provide a warning to the clinic workers and list a few of the illegal activities they should be looking out for. 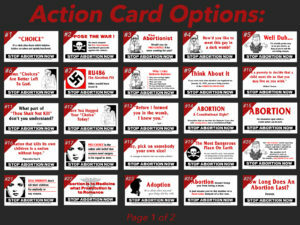 Get these cards into the hands of the clinic workers so they may speak up and expose illegal activities that are taking place in the abortion clinic where they work. 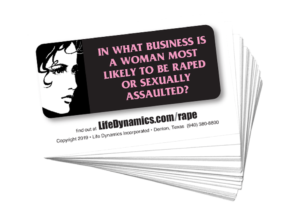 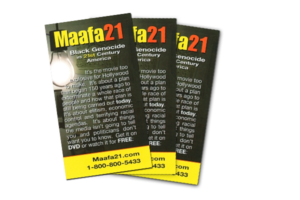 These business-sized-cards are a companion piece to the “Clinic Worker” Kit.